Aer Lingus is Ireland's national airline flight carrier with base in Dublin, Ireland and owned by its parent company, Aer Lingus Group plc. The airline company has scheduled flight operations covering over 73 cities in countries across Europe, Africa, North America and the Middle East. With over 4000 employees in its payroll, Aer Lingus used to be a member of the Oneworld airline alliance until March 31, 2007 when it terminated its membership with the alliance. 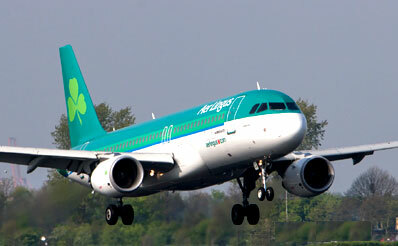 Aer Lingus operates in several hubs including Dublin Airport, Cork Airport and Belfast International Airport. The name of its member lounge and frequent flyer program is called the Gold Circle Club. Aer Lingus offers 2 types of classes in its cabin : Premier Class which is its First/Business-hybrid Class and Economy Class. 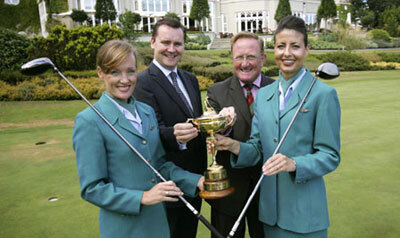 Gold Circle Club is a frequent flyer program of Aer Lingus and is operated independently. Within the programme are 3 tiers namely Gold, Prestige and Elite. In the Gold Level (GOLD) tier, members are given access to the Gold Circle Lounge and with a requirement of a minimum of 2,400 points accumulation, earned in the past 12 months flying on Aer Lingus. In the Prestige Level (GPPP) tier, members are also given access to the Gold Circle Lounge and priority check in. Minimum requirement will be 4,800 points accumulation, earned within the last 12 months flying on Aer Lingus flights. In the Elite Level (GXXX) tier, members are given more benefits such as access to the Gold Circle Lounge, priority check in, special priority baggage delivery while travelling on Transatlantic / Dubai flights, up to four complimentary upgrades, offers Gold Membership for partner and also provides a guaranteed flight reservation for member minimum 24 hours before departure. The minimum entry points required will be 8,400 points accumulation, earned within the last 1 year flying on Aer Lingus scheduled services. The Bank of Ireland and Aer Lingus partnered together and come out with a card called the Bank of Ireland VISA Gold Card. Issued by Bank of Ireland, cardholders are given access to the Gold Circle Lounge. 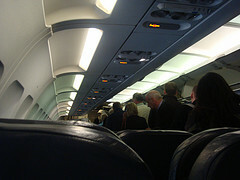 However there are no accumulation of miles points earned for flights on any Aer Lingus. Also there will be no priority boarding or baggage handling for cardholders.